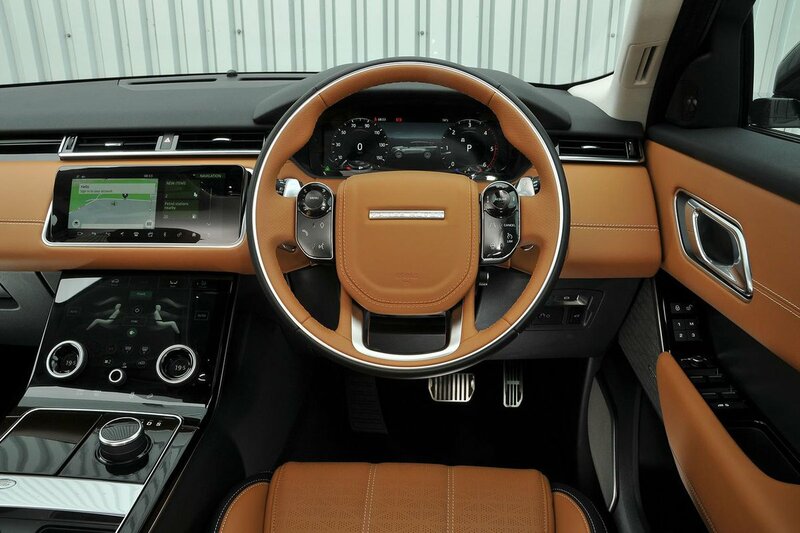 Range Rover Velar Interior, Sat Nav, Dashboard | What Car? So far, we've only tried top-spec Velars, which come with 20-way electrically adjustable seats that move every which way, including for lumbar adjustment, and will even heat, cool and massage you. Add in plenty of movement for the steering wheel and it's easy to find a comfortable set-up. Put it this way: even after a few hours at the wheel, we still felt totally relaxed. Sadly, entry-level models make do with eight-way manual adjustment, while S and SE cars get 10-way electrically adjustable seats. And unless you’re prepared to spend a pretty penny to upgrade to the fancy 20-way versions, you can't have adjustable lumbar support. Then there's the controls for the air conditioning and various off-road driving modes. These systems are accessed through a low-mounted touchscreen and working out what you're selecting when switching between functions requires you to take your eyes off the road. The only upside it that the screen is augmented by a couple of rotary controllers that change function depending on which menu you’re in. SE models and above come with a 12.3in digital instrument cluster, similar to the Audi Q7’s Virtual Cockpit. It provides plenty of information clearly, but doesn’t look quite as slick as Audi’s system. Thanks to a lofty driving position, the view straight out of the front and side are both good, but the thick windscreen pillars can obscure your vision at junctions. Seeing out the back isn’t that easy due to the small rear screen and thick rear pillars. At least all Velars come with rear parking sensors, while S trim adds a rear-view camera as well. SE models upgrade this to a 360deg camera and blindspot monitor; these are optional on lesser models. And if you are really worried about parking, then there's always the HSE trim, which gets a park assist system that will locate a space and steer you into it. This is also an option on lower trim levels. What’s better than a touchscreen infotainment system? According to Land Rover, the answer is two of them. All Velars get a pair of 10.0in touchscreens; one where you’d expect it to be, towards the top of the dashboard, and the other below it, just in front of the gear selector. This second screen is the one that you use to access the air conditioning and off-road modes, but you can also operate the multimedia system through it while the main screen continues to display the navigation. It gives a minimalist look to the interior that’s certainly appealing, plus the graphics are sharp and there’s only some occasional lag when you select something. But while the menus prove easy enough to navigate when you’re stationary, the lower screen can be distracting to use on the move. It’s also disappointing to note that neither Android Auto nor Apple CarPlay smartphone mirroring is available. 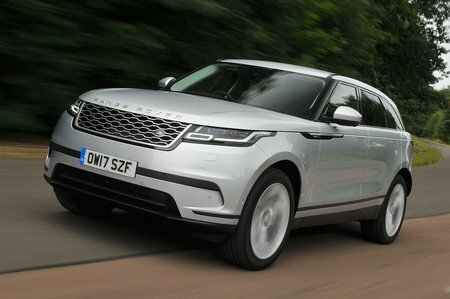 There is a free app from Land Rover that gives you a certain amount of smartphone connectivity, but our experience suggests it can be a bit slow and cumbersome. We’ve no complaints about the fit and finish on the outside of the Velar, but the interior is a bit of a mixed bag. Our high-spec test cars had plenty of soft leather on the seats, the top of the dashboard, the steering wheel and the top of the doors, but things were less impressive lower down. 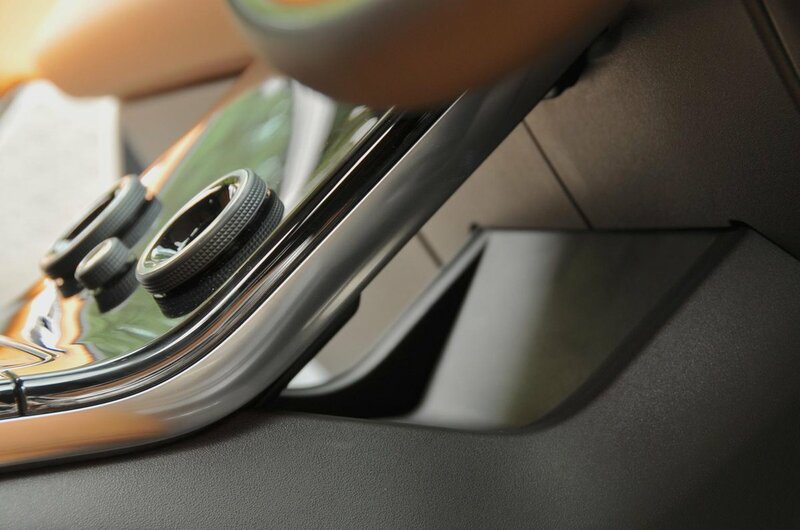 Although all the areas you regularly touch feel great, there’s scratchy plastic on the bottom of the door trims, around the door openings, on the front seatbacks and the sides of the centre console. That might be acceptable on a £20,000 hatchback, but it’s not on an SUV that can cost north of £80,000. It’s also worth remembering that much of the leather on the dashboard is part of an optional extended leather pack. Without this, the cowl for the instruments feels surprisingly flimsy. Thankfully, the top of the dash and doors are appealingly squidgy.